The turkey has been devoured and you’ve had one more piece of pie than you should have. We all know what comes next- the year’s biggest day of in-store savings: Black Friday. This year, on Friday, November 28th, people all across the country will line up outside of stores in hopes of saving money for their holiday needs. 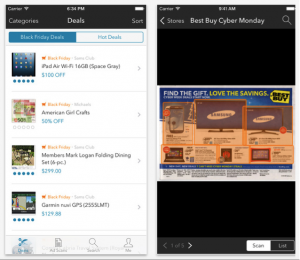 This week, we’ll take a look at SayItSocial’s Top 10 Black Friday Shopping Apps. Chameleon provides incentive to visit multiple stores on Black Friday. Open Chameleon to earn points that you are able to redeem for gift cards, and get triple points on Cyber Monday. 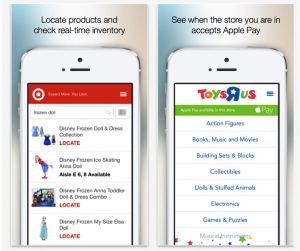 The most important feature about this app is its ability to show users aisle location for products in thousands of stores- get in and get out Black Friday with guided mall maps that include routes to stores, elevators and more! RedLaser is the perfect shopping companion. 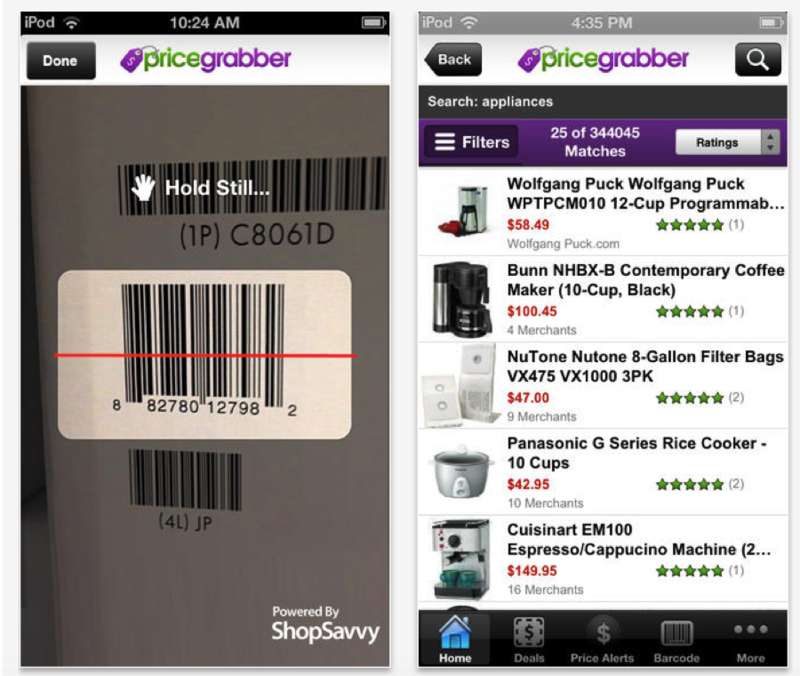 Scan any barcode and the app brings up the best price- online or locally. 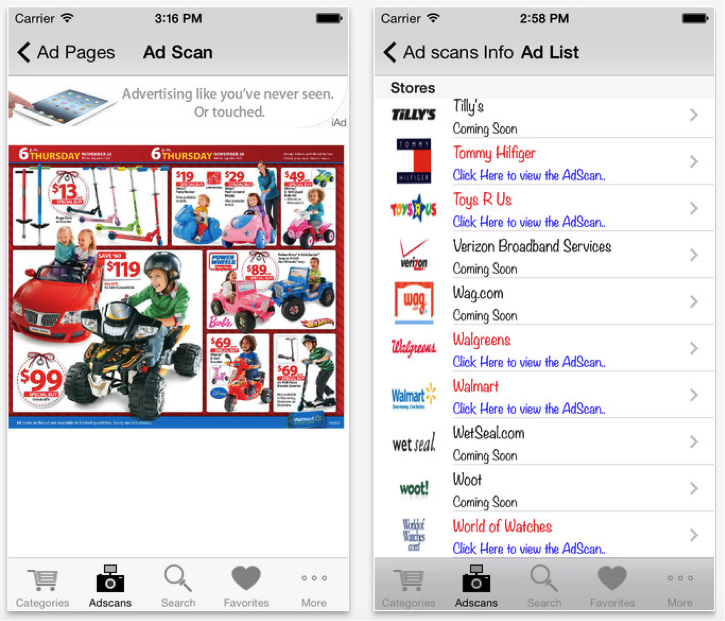 You can also search for coupons, deals, and nearby locations of your favorite stores. 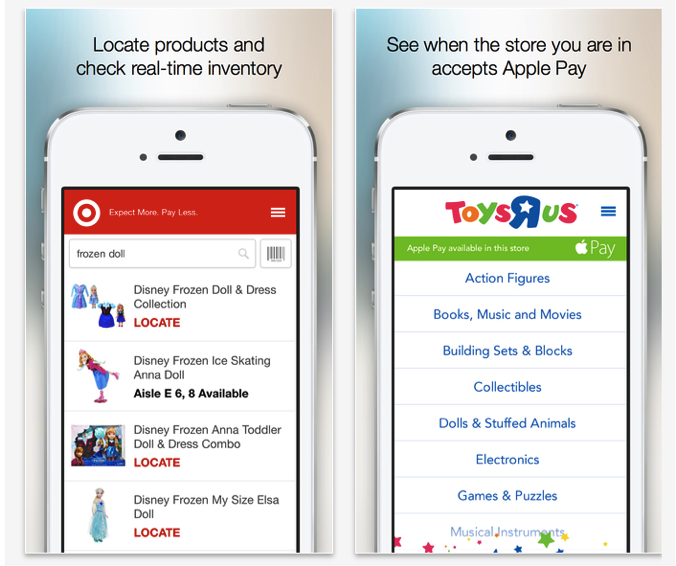 Not only can you find the location of the store you want to visit, but the app also pulls up store hours and in-store maps. 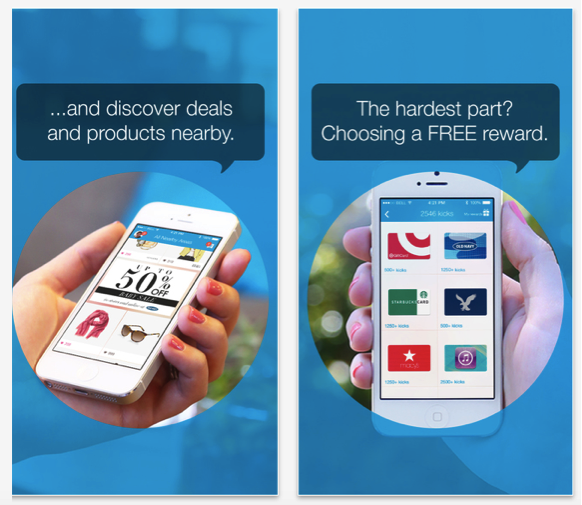 Here is the real kicker- digitize your wallet and store your loyalty cards in the app! Cards are scanable and sharable. This is a MUST-HAVE for this Black Friday. 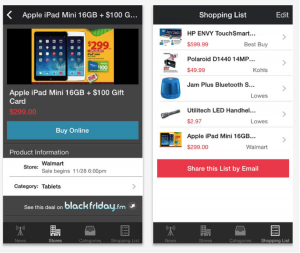 This app by Sazze, Inc. is an all inclusive application that shows leaked Black Friday ads in real time, store advertisements, search features, discounted prices as well as limited-quantity doorbusters, options to create and share shopping lists, access to the best Black Friday coupons, and the ability to compare ads and prices while shopping in store. 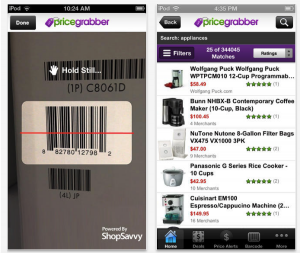 The PriceGrabber app allows you to search, browse and compare products by product name, UPC, manufacturer’s part number and more. You can also search through product categories to find popular items. PriceGrabber is great for BlackFriday because you are able to set price alerts for your favorite items and receive notifications when they are met, read unbiased product reviews, and compare prices from different stores. 5. Shopular: Coupons, Weekly Ads, & Black Friday 2014 – Aircrunch INC. The Shopular App created by Aircrunch makes it nearly impossible to spend more money than you should- when you walk into a mall Shopular will send you push notifications on deals for stores near you. 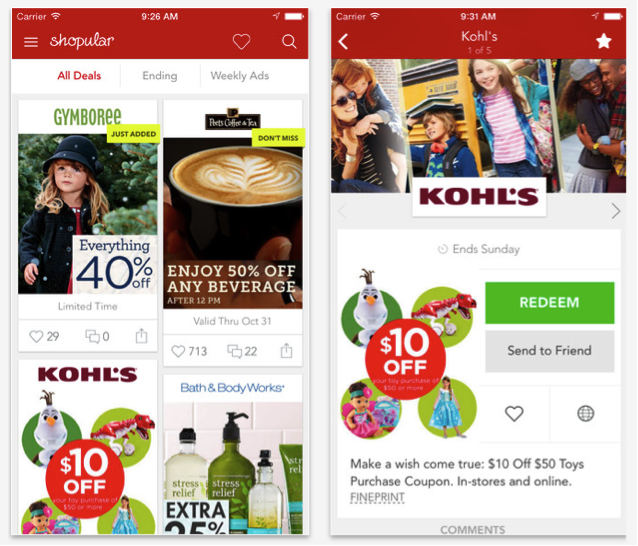 This app is great for the forgetful shopper, with access to tons of coupons at the touch of your finger! 6. 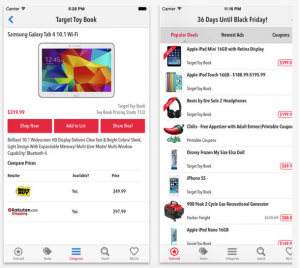 TGI Black Friday – Ecatcher, INC.
TGIBF is a top-rated application devoted entirely to helping you save on Black Friday. You are able to view Black Friday ads weeks before they are available in your local paper, shop and buy items from Black Friday ads online, search, sort and compare 10,000+ deals by stores and by categories, create a shopping list and mark items as you buy them, share your list, compare prices online, score Cyber Monday deals, and get coupons from DealCatcher,com all year long. 7. Black Friday – FatWallet, INC. This app from FatWallet allows users to browse interactive ad scans, rate and comment on Black Friday Deals, and view Black Friday store opening times. 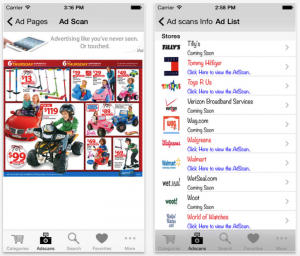 It also features alerts when new ad scans leak from your favorite stores, wish lists, hot online deals, and the ability to share deals with friends and family. 8. 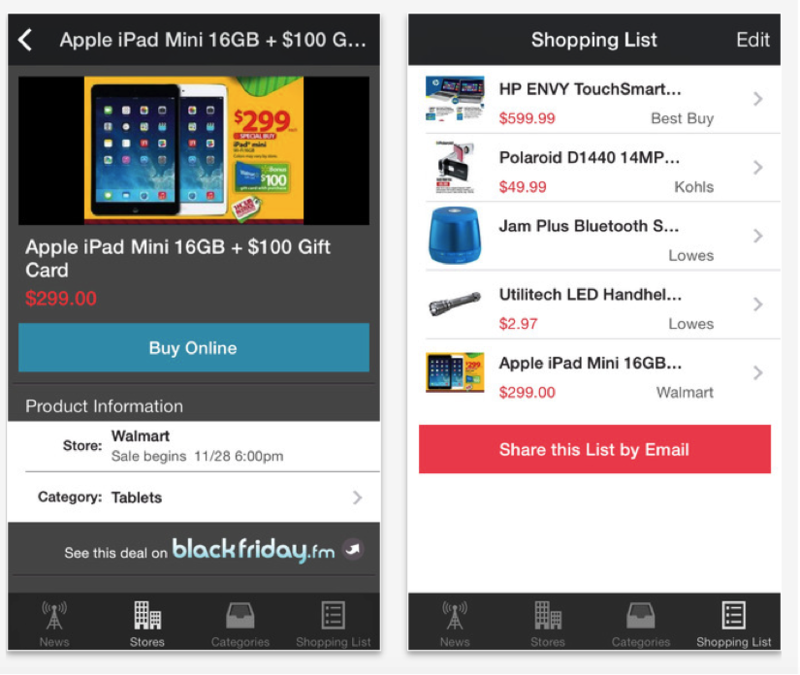 BlackFriday and CyberMonday – Appzest, INC. 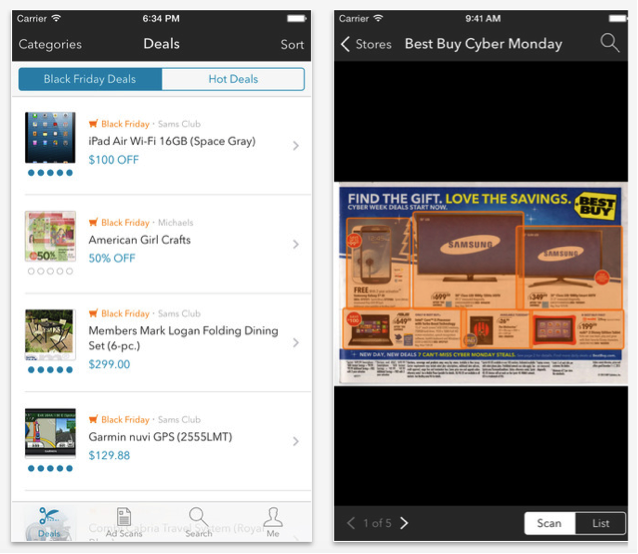 Although it requires an active Internet connection to work, the BlackFriday and CyberMonday app from Appzest, inc provides users with leaked ads, search features and most importantly, an awesome feature that allows you to check online availability for products through Amazon.com. 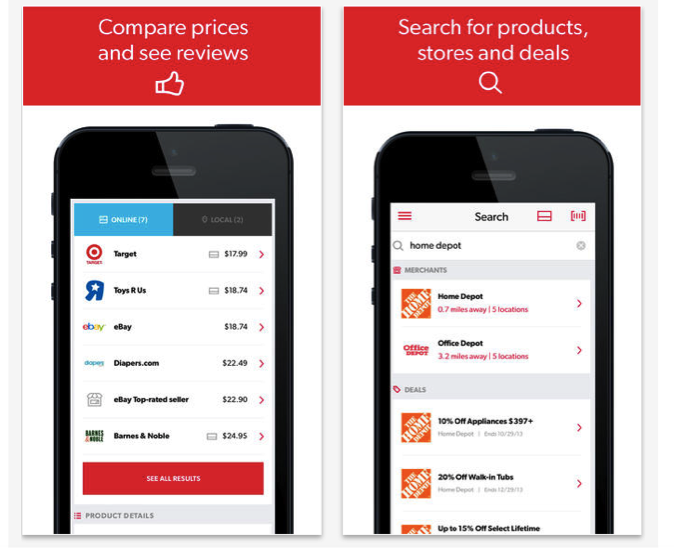 The app also has a barcode scanning feature that allows you to search online for the product and compare deals, or links you to Amazon.com. 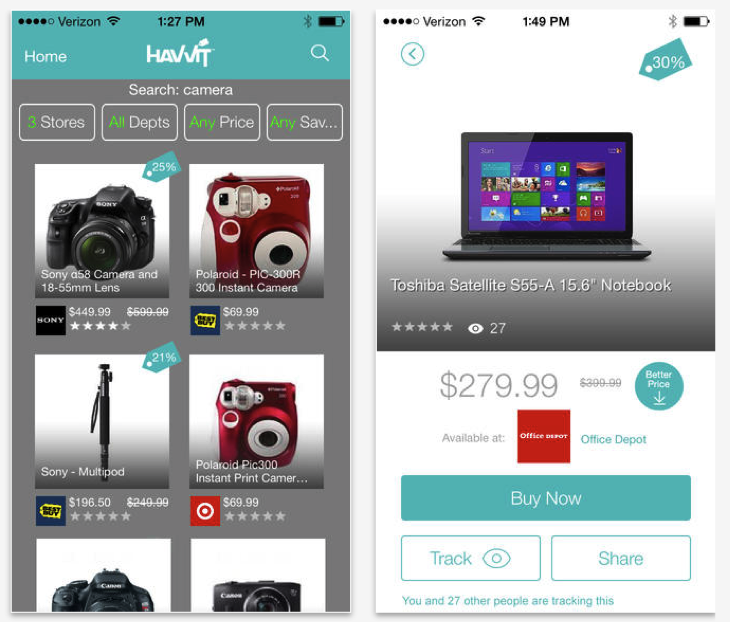 Havvit allows users to choose specific items and categories that they are interested and receive deals only for these choices. It takes out the noise from couponing, and with their ideal price-setting filter, you are able to make purchases when the price is right. You are able to find, track, compare and share all of your favorite brands and stores! Shopkick provides users with an incentive to shop. Rack up points just by walking into stores to earn free gift cards. 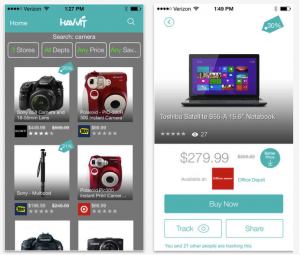 The app also provides a feature that shows users the best products and deals nearby. Black Friday is the perfect time to start gaining points just by completing your holiday shopping. So now that you’re armed with your smartphone and have planned ahead, go out and score big this Black Friday!